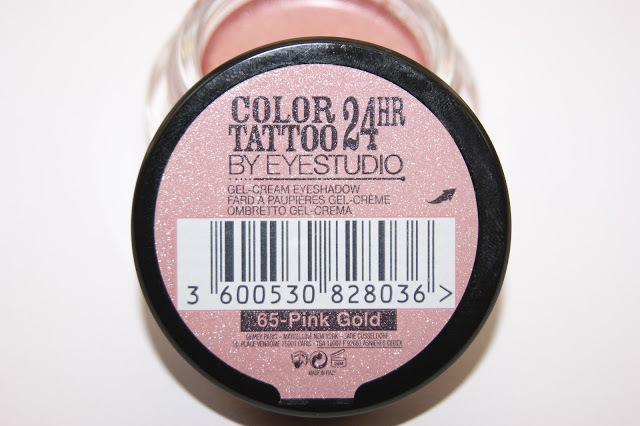 Today I want to do a review on the Maybelline Color Tattoo in Pink Gold ($6.99 for 0.14 oz.). It's my thrid one and definitely will not be my last, there are just too many pretty colors. 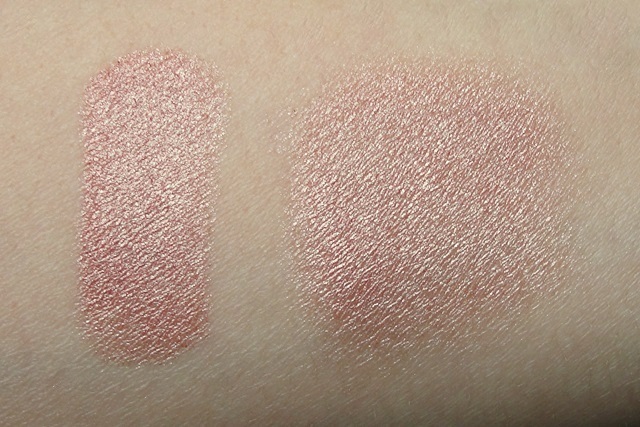 Pink Gold is a rosegold, fairly cool in tone and has a pretty silver almost metallic looking shimmer. The product comes in a sturdy clear glass jar, with a black screw-on lid that closes very well. Overall the packaging is very similar to MAC's paintpots. Also, be careful if you have more than one open, because the product’s name is actually on the lid, not the bottom of the jar, so if you can easily mix them up. Thankfully, the shade range is pretty diverse and there aren’t shades that look too similar to each other, so it is possible to look them up if you forgot. The eyeshadow itself has an interesting consistency, at first it's creamy but when you put it on and start to blend it gets powdery. You can still blend it perfectly and there a no harsh lines at all. 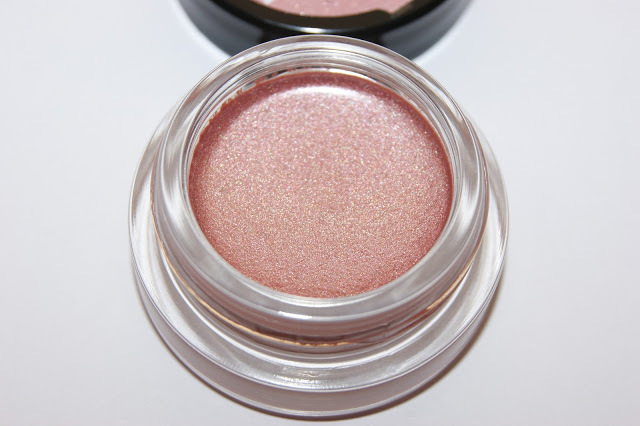 It's is very well pigmented and stays on my eyelids without an eyeshadowbase almost all day. I really like this product and would recommend it to everyone who likes nudish & shimmery eyeshadows. I think it is a great color to wear all over your lid when you don't have the time to do a more time-consuming eye make up and it still looks put together. You can wear it as a base, as an eyeliner or solo.